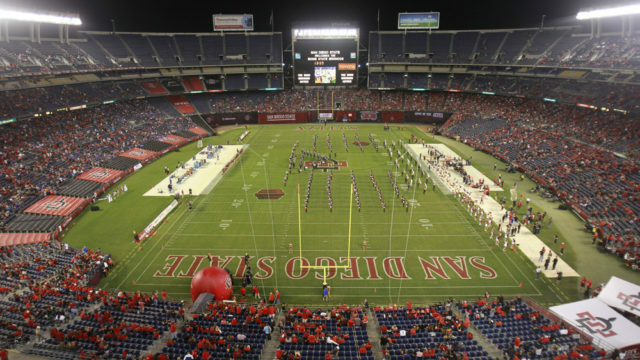 The San Diego City Council’s Smart Growth and Land Use Committee on Wednesday advanced without recommendation an agreement between the city and San Diego State University for the Aztecs to continue playing football at SDCCU Stadium. City staff were instructed to engage in further negotiations with SDSU before the City Council considers the agreement Aug. 6. They’re also expected to provide additional details on stadium-related finances and further revenue opportunities. “The current proposal is an unacceptable deal for taxpayers and I hope university leaders will return to the table and reach a fair and equitable deal with the city,” he said. The proposed agreement would commence January 2019 and extend through December 2020. Under the agreement, the city would receive $1.1 million per year from SDSU as well as net parking and concession revenues, which totaled $733,485 in fiscal year 2018. 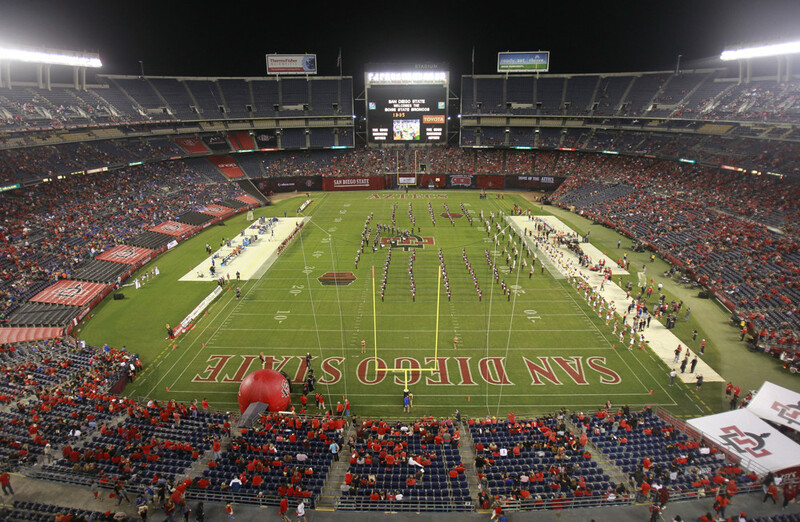 SDSU would also reimburse the city for game-day expenses, as the university does under the current agreement expiring Dec. 31. The city doesn’t receive a flat rate under the current agreement. Instead, it receives a $1 ticket surcharge, which totaled $154,000 in fiscal year 2018. SDSU also currently retains net parking and concession revenues. Increased revenue under the new agreement still wouldn’t make the stadium profitable for the city, which ran a projected deficit of $4.6 million in fiscal year 2018 and $4.4 million in fiscal year 2019 operating the facility. “I’m in support of negotiating and trying to figure out if we can get a better deal with San Diego State,” City Councilwoman Georgette Gomez said.